The average MPH program will take at least two years, but usually no more than three years to complete. Below introduces the variables that influence the length of public health degree programs. Most MPH degree programs require 42 to 45 credit hours. A MPH degree that requires only 42 credit hours may be completed in two-years if the student attends school full-time. A 43-credit-hour MPH degree program that includes 15 courses that each takes 8 weeks will take approximately two and a half years. Part-time students may take up to four to five years to finish their degree. Accelerated programs may be completed in 14 to 16 months. This is only possible if students complete three academic quarters with a summer session and practicum placement. Most MPH programs offer standard concentrations such as health analytics, community health and health policy and management. A health analytics specialization will have classes on biostatistics, which covers the application and interpretation of statistical tests and research concepts that are used in analyzing and solving public health problems. Classes in advanced biostatistics will emphasize applied research in public medicine, so students will learn how to use quantitative research question methodologies, such as multivariate statistical modeling. A class on population health research methods will provide an overview of research phases, such as research design selection and data collection. The goal of this concentration is to prepare graduates to work in community-based organizations. Students will learn skills and knowledge related to designing, executing and evaluating community health improvement initiatives and programs. This specialization will include courses on health communications, planning community health projects and program evaluations. Students who want to become health care advocates may take classes in health policy, which will emphasize how to contain and monitor health care costs. Another common class, health care finance and budgeting, focuses on how to apply managerial accounting principles and techniques in health care organizations. Almost all MPH degrees will require students to have completed college level statistics, biology and computer science classes. When planning to study public health, students should consider the choice of their undergraduate degree. Fortunately, public health is a multidisciplinary field, so students come from a wide range of programs. The most common technical undergraduate degree programs are related to math, statistics, economics and the biological sciences. 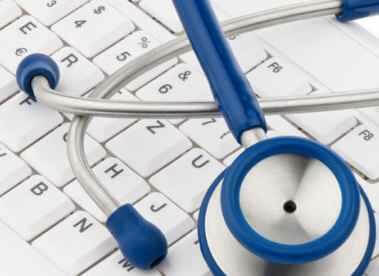 Typical health care degree programs are nursing and health informatics. The typical MPH program will require the student to conduct research, finish a scholarly project or attend a special seminar. For instance, a final project will demonstrate the student's ability to synthesize and apply public health data that is gathered through personalized research. Students may choose to monitor community health trends, investigate local health problems or educate audiences about relevant health issues. The final seminar will focus on current issues in public health, such as mobilizing community partnerships, developing effective policies and link under served health care consumers to appropriate resources. After graduates complete their MPH programs, they may move onto careers related to epidemiology, biostatistical modeling and public health administration.